Dustin began serving at Third Baptist in November 2015. His desire is to share the Gospel of Jesus Christ and to prepare our youth to be servants of Jesus. Dustin is the branch manager and consumer lender for Bancorp South Bank in Little Rock. 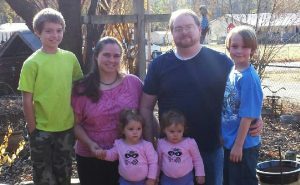 Dustin and his wife, Cara, have four children; Lucas, Ian, Samantha, and Chloe.